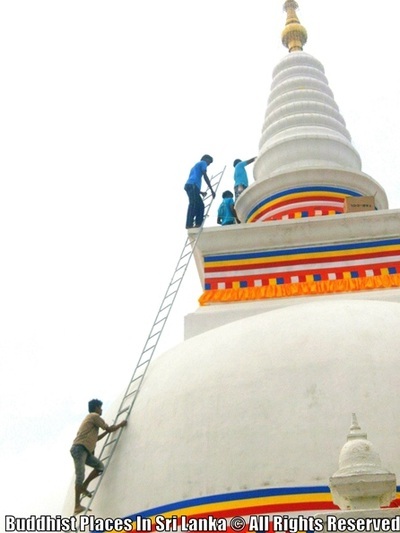 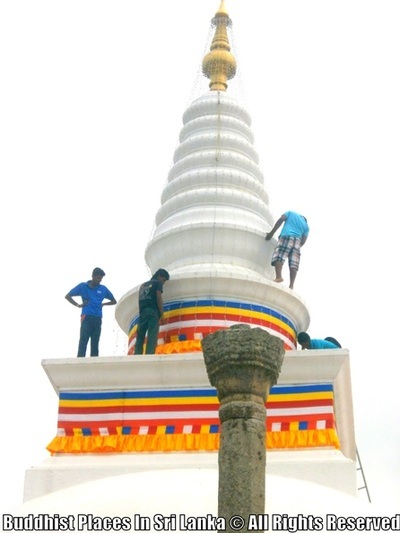 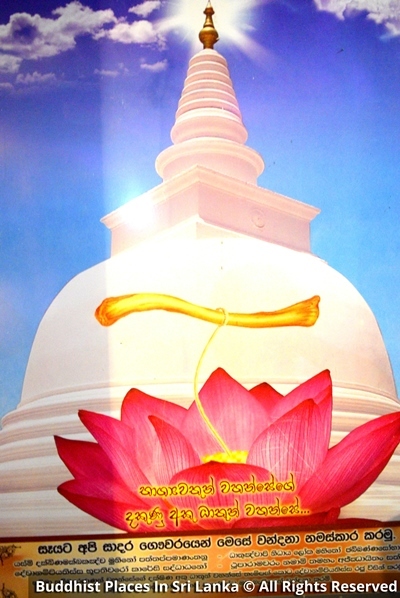 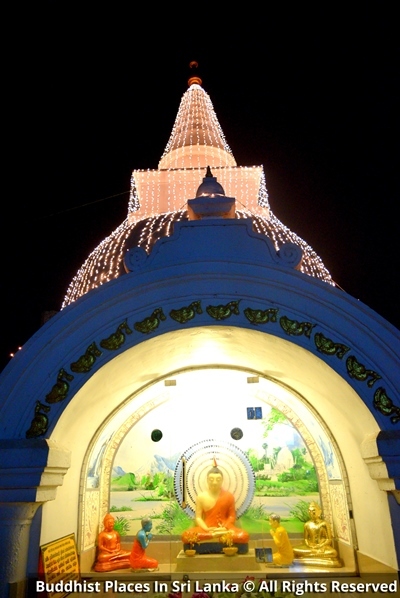 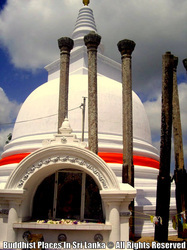 Thuparamaya is a dagoba in Anuradhapura, Sri Lanka. 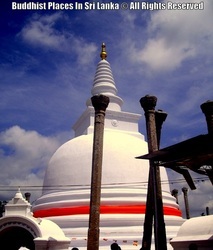 It is a Buddhist sacred place of veneration. 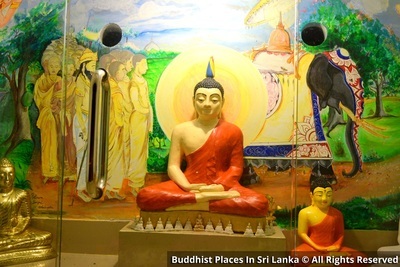 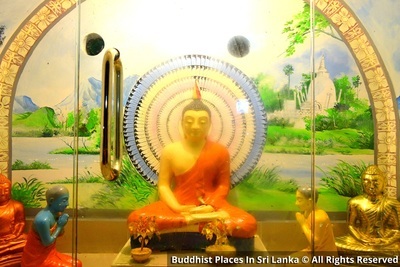 Mahinda Thera, an envoy sent by King Ashoka himself introduced Theravada Buddhism and also chetiya worship to Sri Lanka. 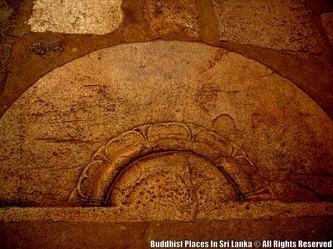 At his request King Devanampiyatissa built Thuparamaya in which was enshrined the collarbone of the Buddha. 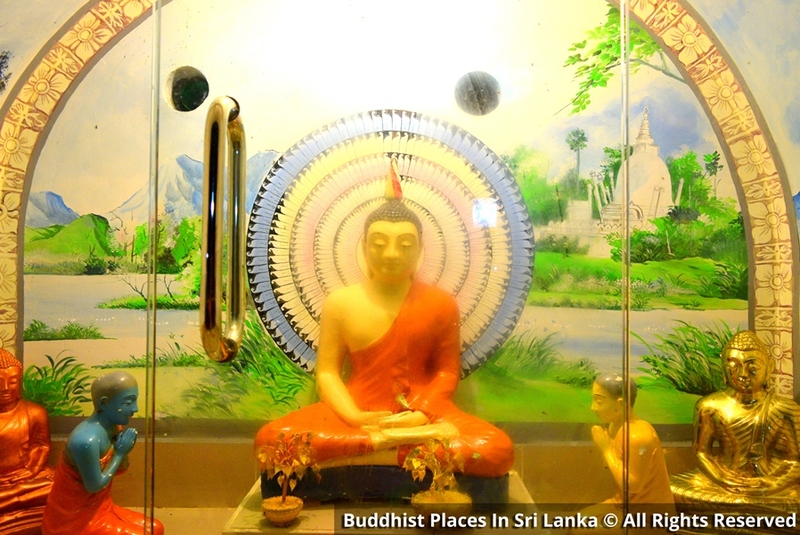 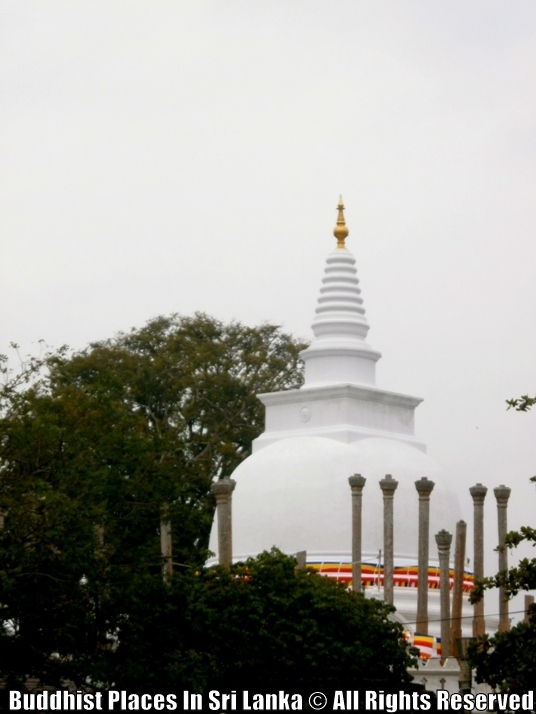 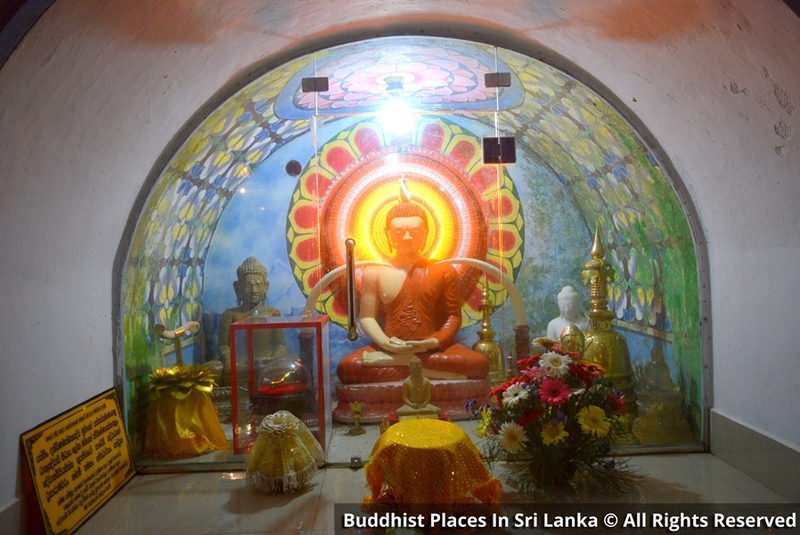 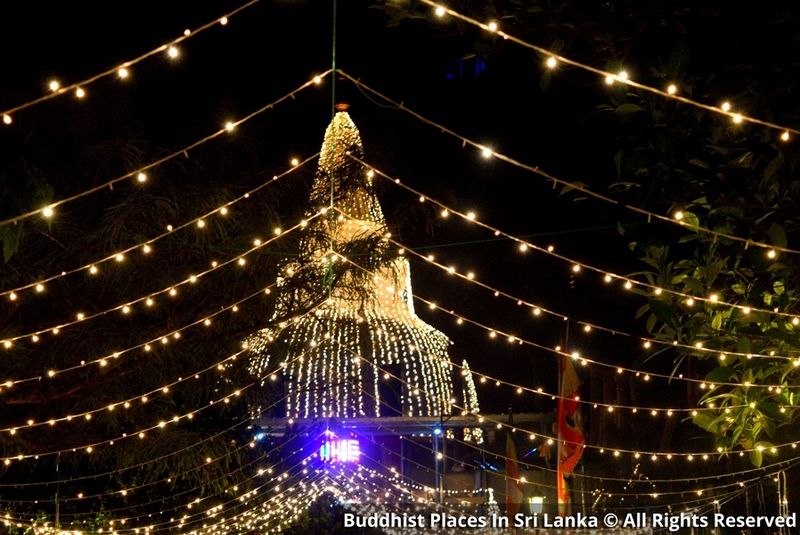 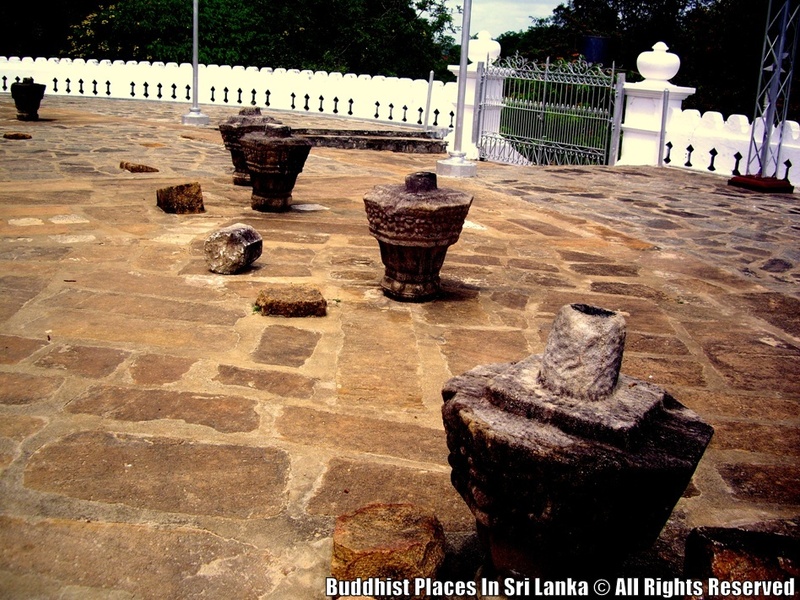 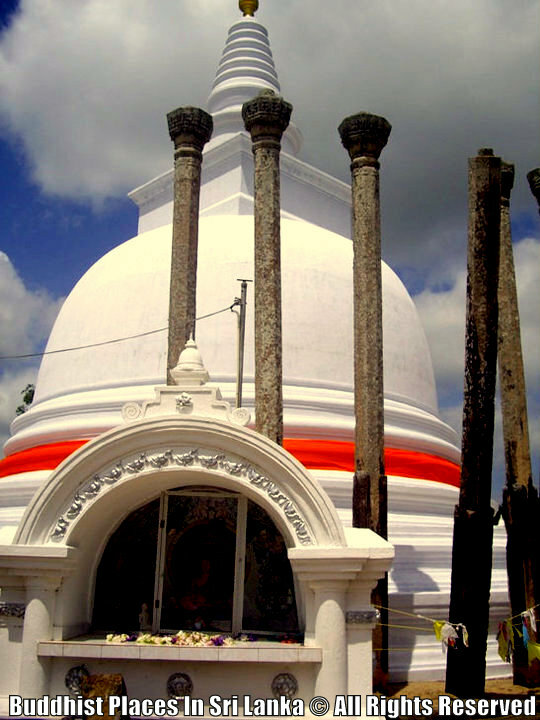 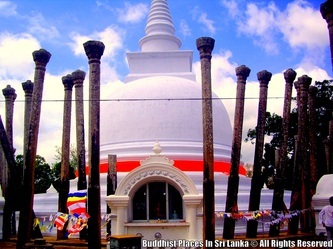 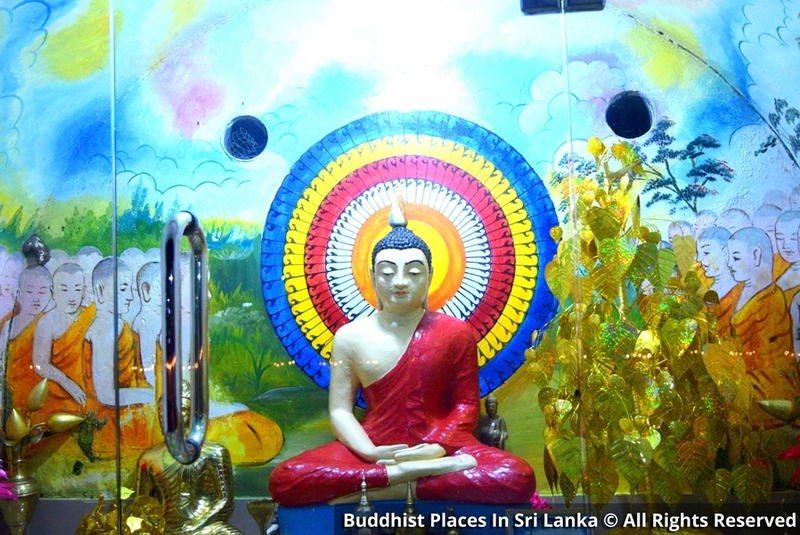 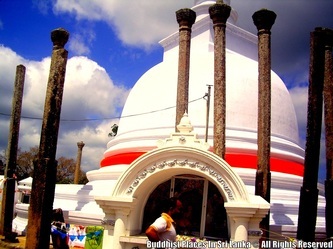 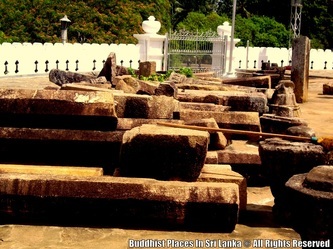 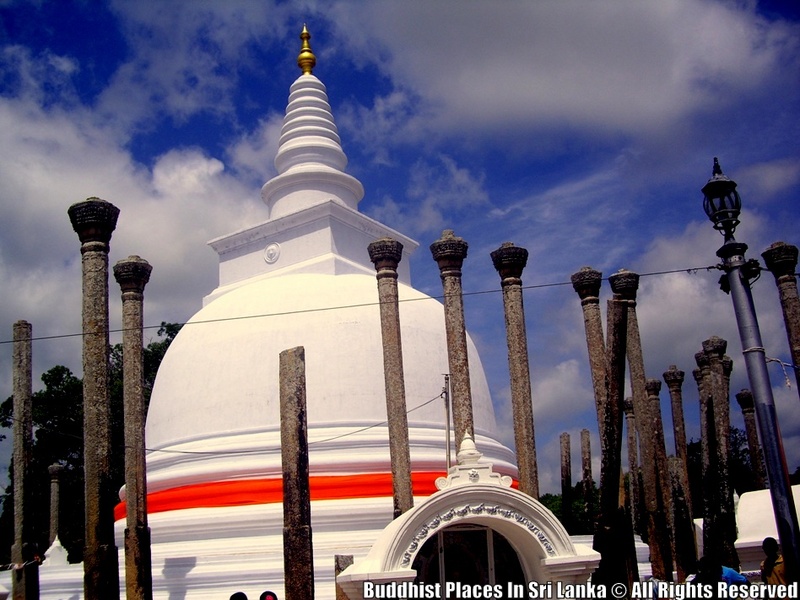 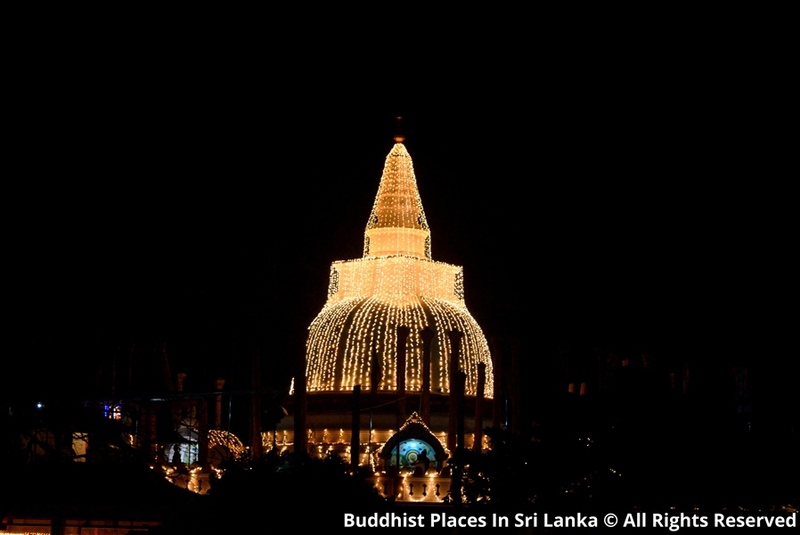 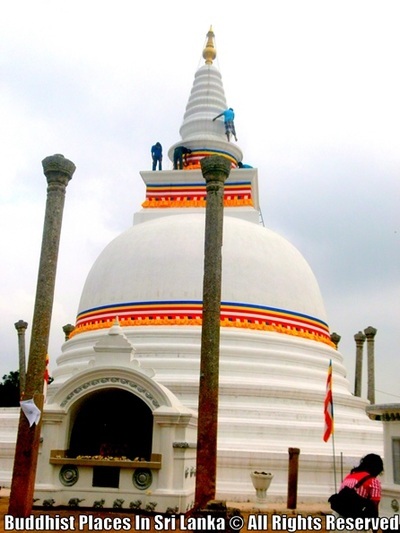 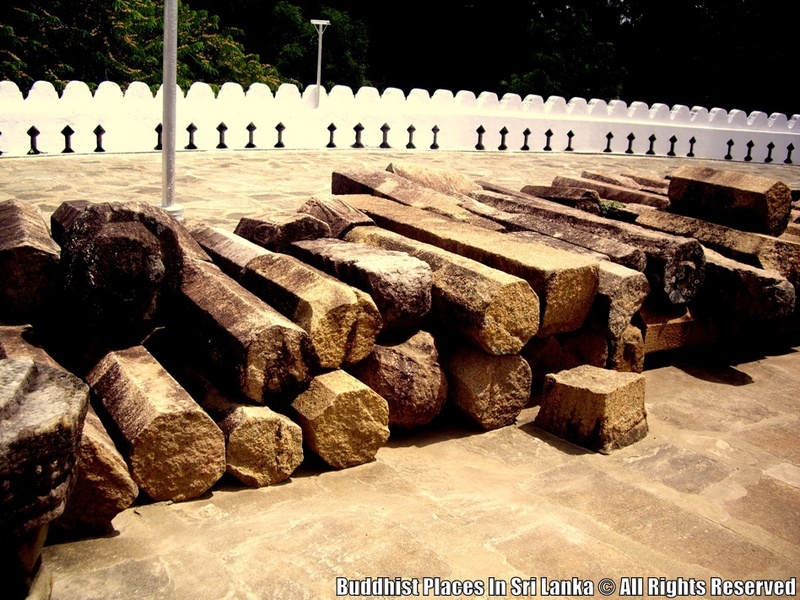 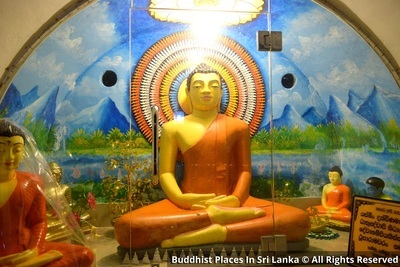 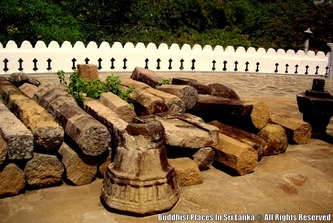 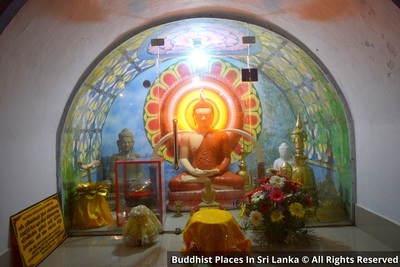 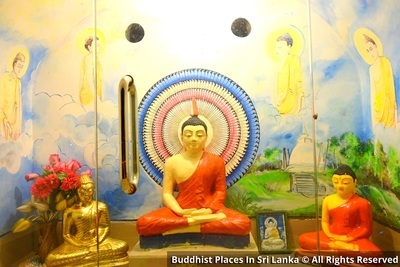 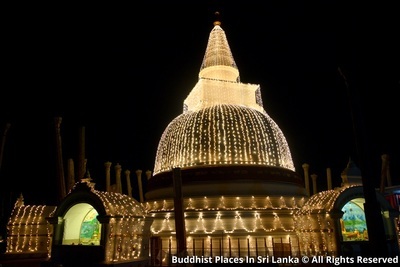 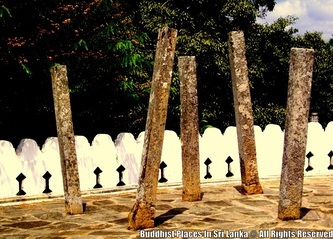 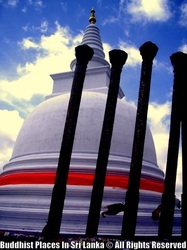 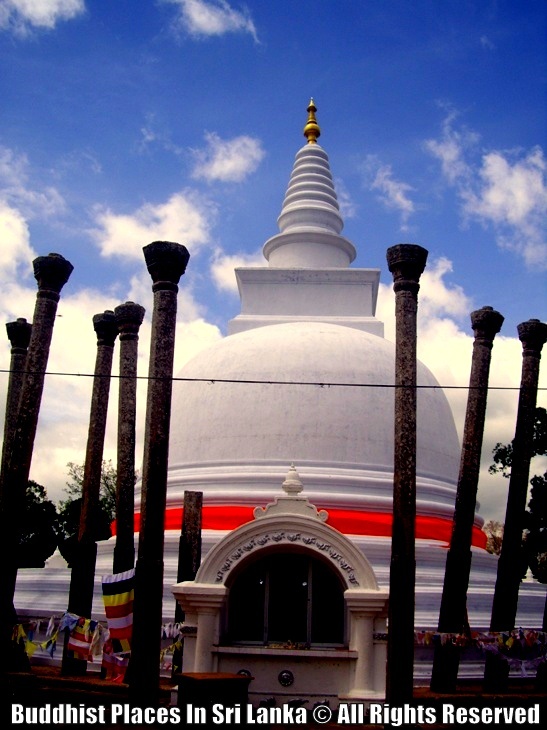 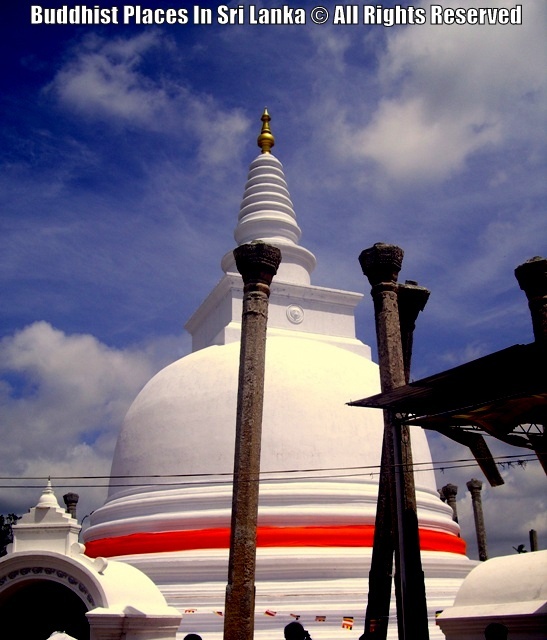 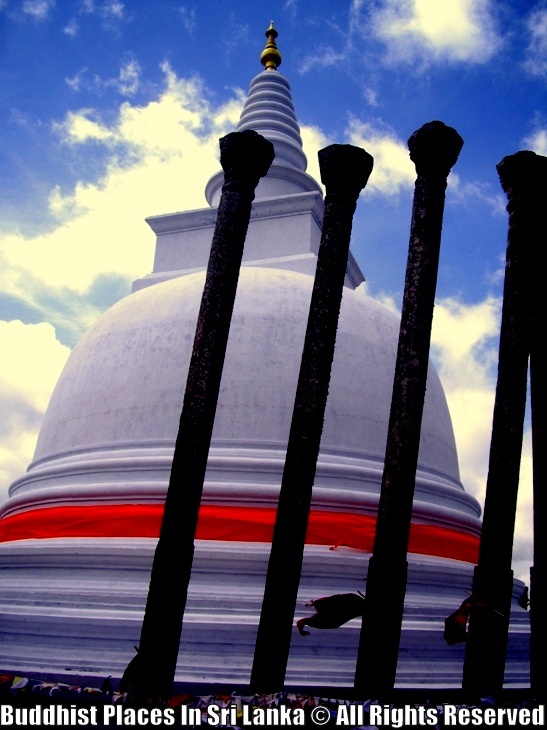 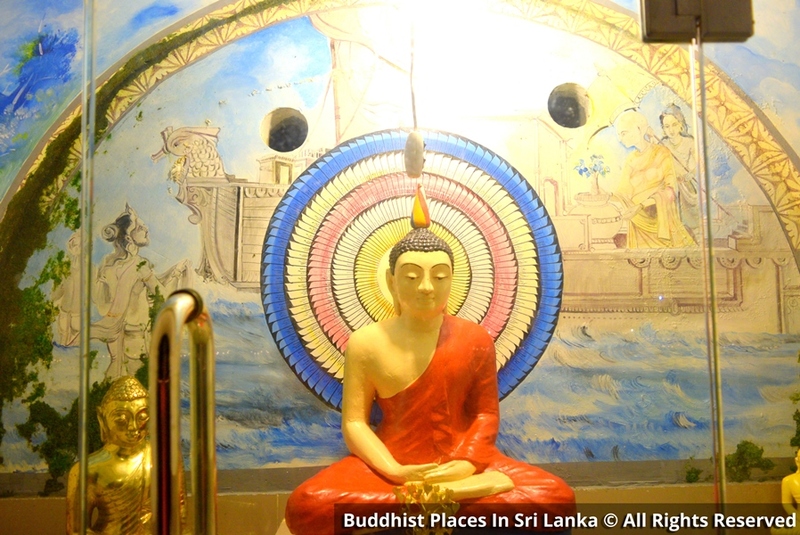 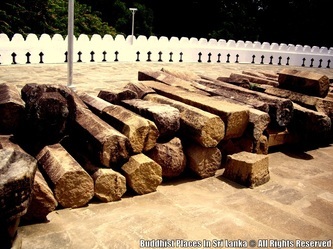 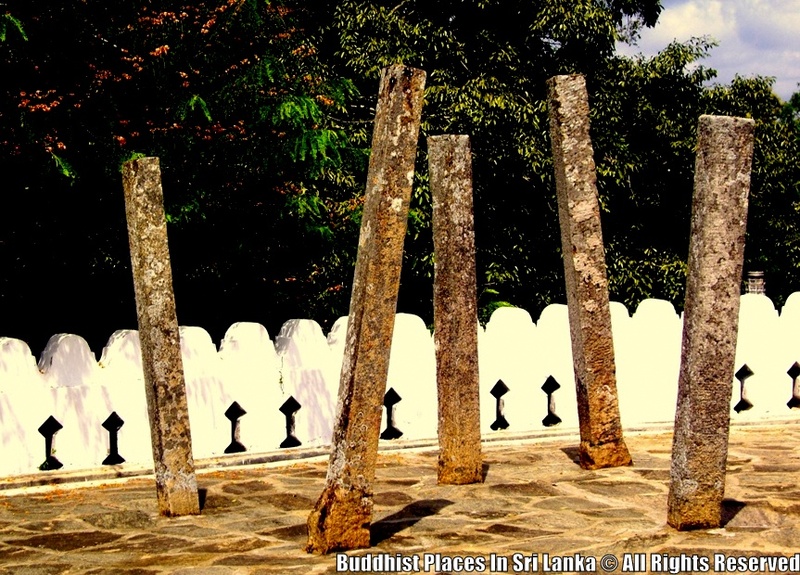 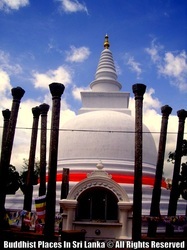 It is considered to be the first dagaba built in Sri Lanka following the introduction of Buddhism. 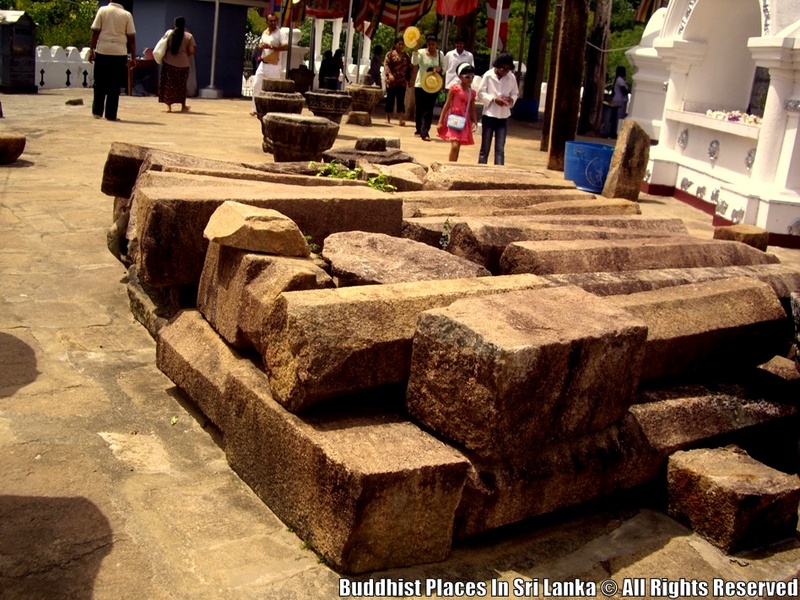 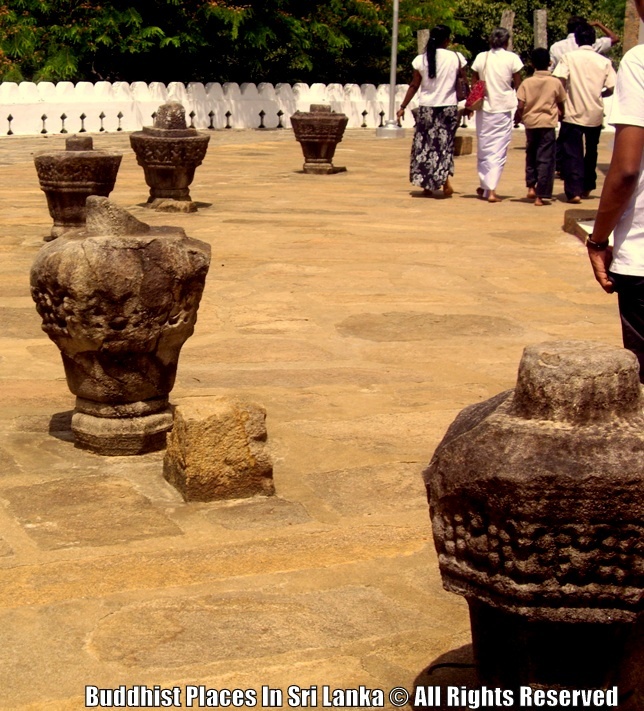 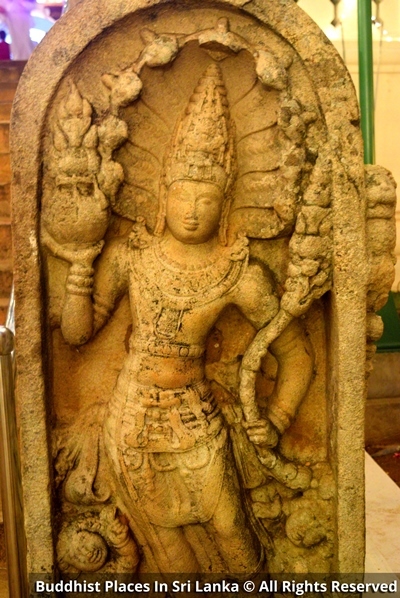 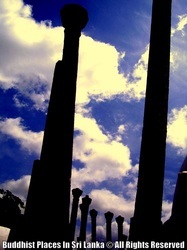 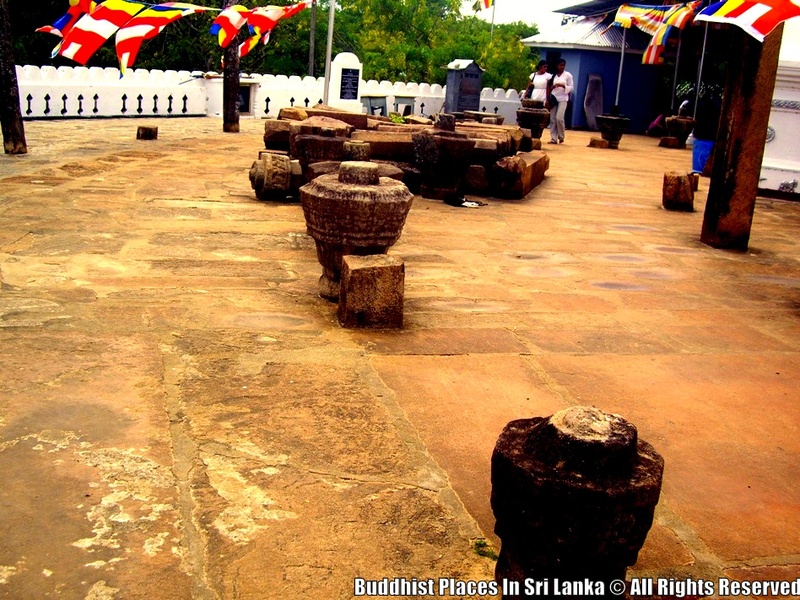 This is considered the earliest monument, the construction of which was chronicled Sri Lanka. 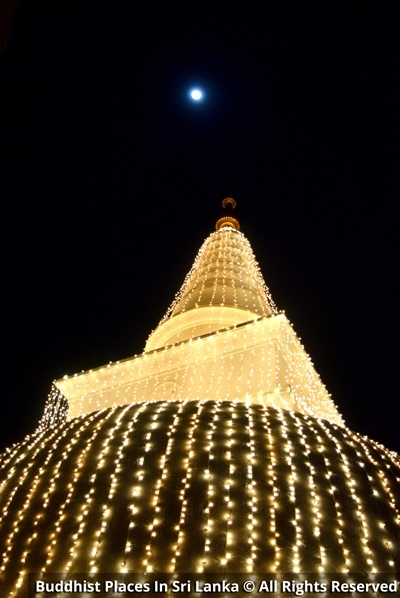 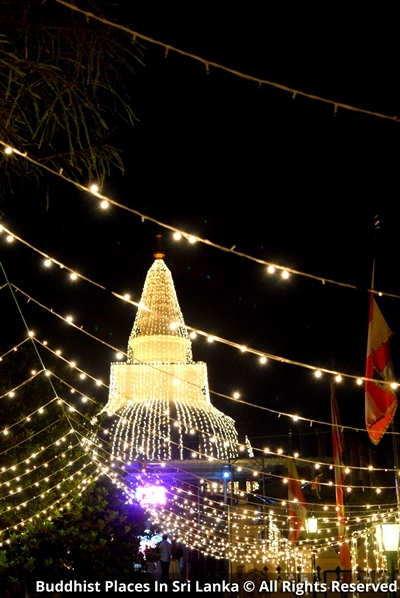 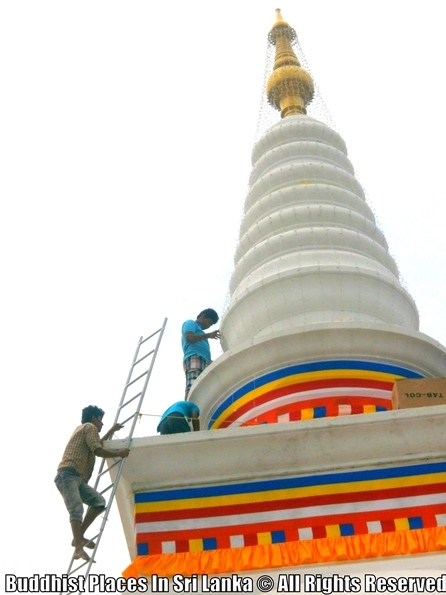 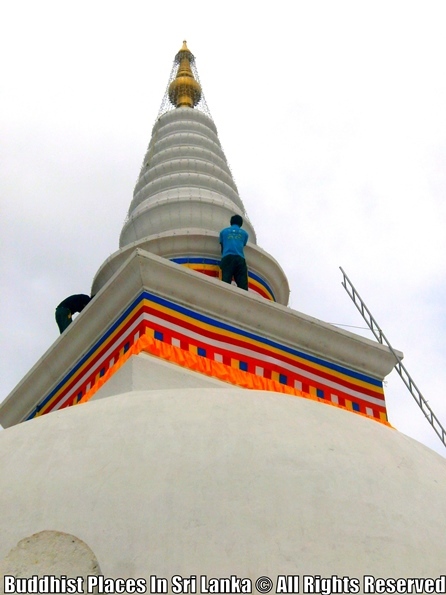 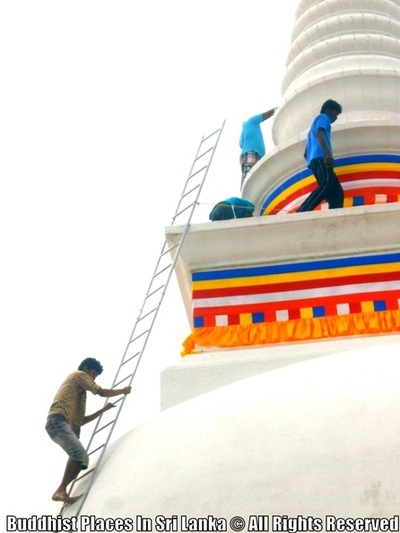 The name Thuparamaya comes from "stupa" and "aramaya" which is a residential complex for monks. 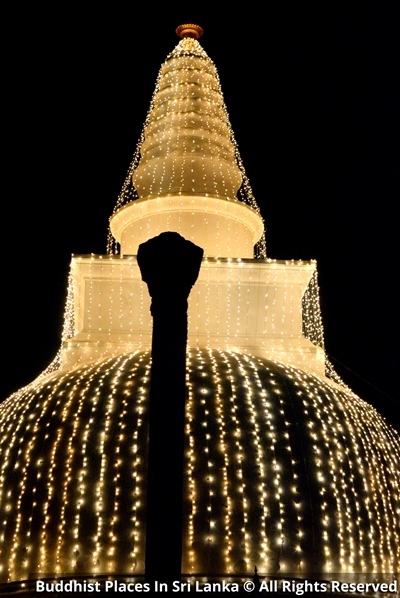 Thuparamaya dagoba has been built in the shape of a bell. 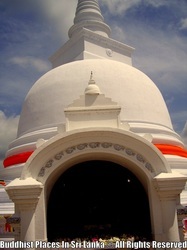 This dagoba was destroyed from time to time. 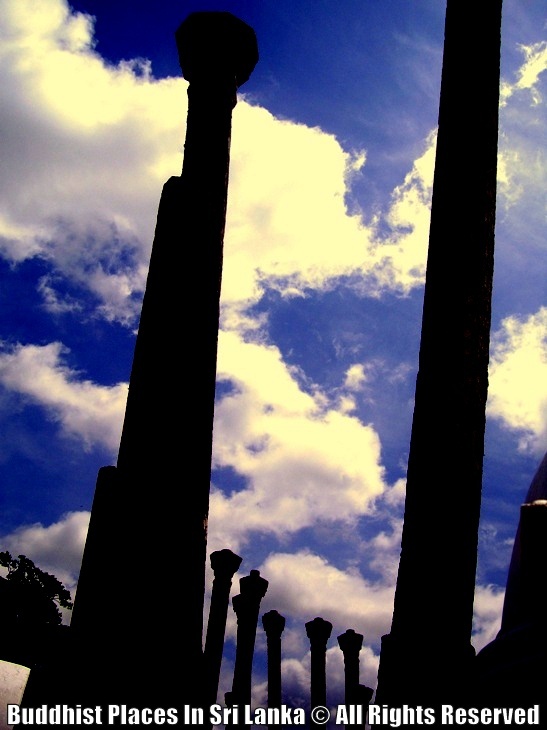 During the reign of King Agbo IIit was completely destroyed and the King restored it. 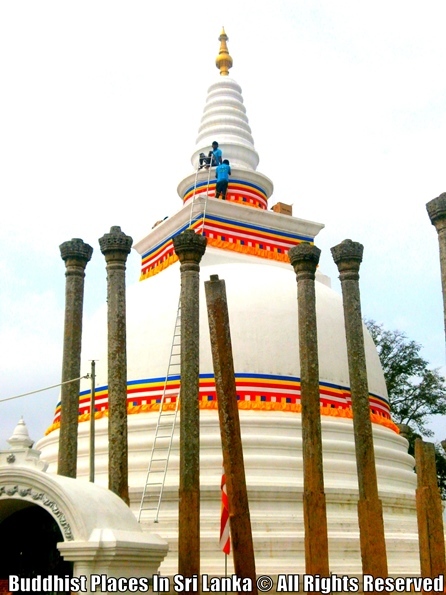 What is seen presently is the construction of the dagoba, done in 1862 AD. As of today, after several renovations, in the course of the centuries, the monument has a diameter of 59 ft (18 m), at the base. 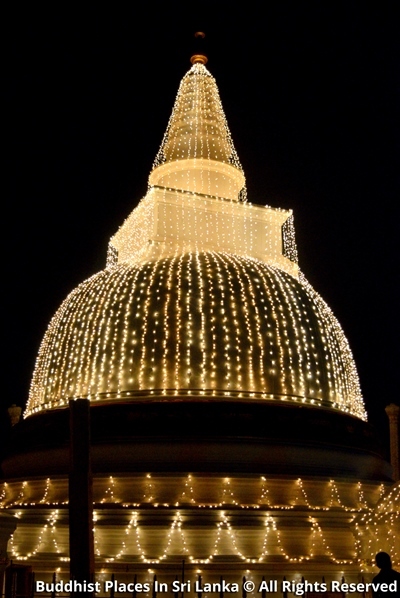 The dome is 11 feet 4 inches (3.45 m) in height from the ground, 164½ ft (50.1 m) in diameter. The compound is paved with granite and there are 2 rows of stone pillars round the dagaba. 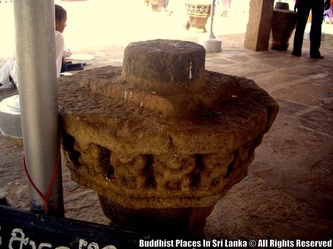 During the early period vatadage was built round Thuparamaya.